Spring small grains planting is almost upon us! 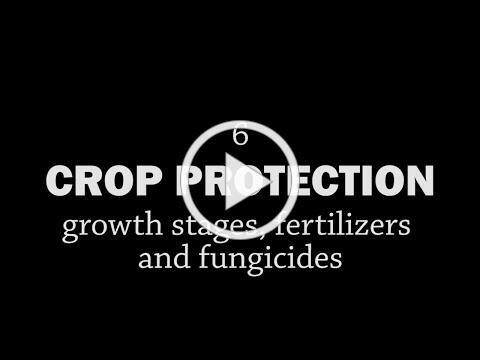 If you have any questions in next few weeks about frost seeding, seed bed prep and early crop fertility and protection, check out the resources below and make use of the PFI fieldcrops listserv as a sounding board for testing your big ideas for this year. Not on the fieldcrops listserv? Become a member of Practical Farmers to join the conversation. Already a member? Email debra@practicalfarmers.org that you'd like to join. On March 2 we had a discussion on the grain specs, quantities and prices for breweries and distilleries. Adam Wagner spoke about his experience as the founder of a craft maltster, Vertical Malt , and a member of his family farm, Lloyd Wagner and Sons Farm in Fisher, MN. Ryan Burchett of Mississippi River Distilling Company in LeClaire, IA discussed his process for sourcing regional small grains. Read the blo g for the full recap or see my notes from the call. If you are participating in the 2018 cost share and were on the call on March 2 - please send Richard ( richard@practicalfarmers.org ) the phone number you called in from that day so he can record your participation. Stefan in the PFI office is working with colleagues at the Iowa Soybean Association to recruit participants to monitor tile drainage outlets coming from small grain fields in Iowa in 2018 . Only fields that will be growing oats, wheat, rye, triticale, etc. to grain/seed/silage harvest in 2018 would be eligible for this study. If you'd be interested in participating or would like more info, please take the time to fill out the brief survey linked below. For the monitoring of tile drainage outlets, we really need to stress that any monitored outlet needs to drain from a well-known area with a similar management practice across that entire well-known area. For example, Field A, and Field A ONLY, drains to point X. Participating would entail you collecting water samples from April to September. You'd collect from the outlet on a monthly basis, freeze the sample, and send all samples to ISA after the final collection date. ISA would supply the bottles and cooler-mailer. PFI would coordinate and reimburse for shipping. ISA would then provide you a report at the end of the year. Data would only be shared anonymously by ISA in their outreach/reporting. Last fall was wonky. Harvest was late and many people didn’t make it into the fields until November to establish their winter small grains – a month or more after optimal planting dates for yield. On top of it we’ve had some bitterly cold stretches this winter with little snow cover, so some folks are wondering – is my cereal rye and/or winter wheat going to make it? Should I go to plan B? Right now is the time to evaluate if it’s a good enough stand to keep for grain or treat it as a cover crop and terminate before planting corn or soybeans. Read more about making this decision in my replant decisions blog . Last month's frost seeding call summary. 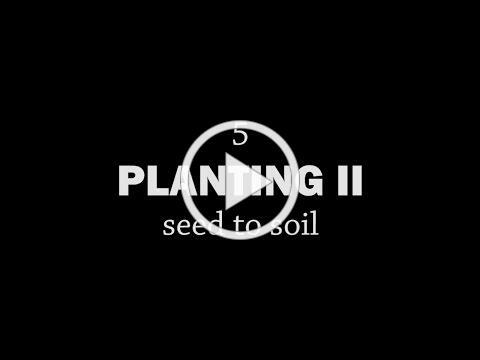 This blog feature on frost seeding master Doug Alert which contains a great list with links to all of PFI's research reports on green manures after small grains.